FUSIONEX International Plc, a big data analytics solutions provider, believes that its new big data analytics solution can help the company to win more clients and gain market share. The analytics solution, known as Fusionex GIANT, allows companies to have a holistic view of its business operations, understand trends, buyers behavior, and even predict outcomes. Unlike larger big data companies from the US or Europe, the company’s big data solutions are more user-friendly and easier to deploy. 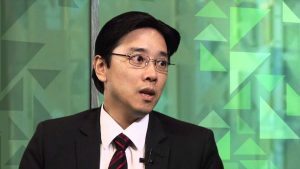 “Our solutions may not be as powerful as some of our rivals’, but it has the features and characteristics that meets the needs of the chief executive officer, the chief information officer, and chief financial officer,” Fusionex Ivan Teh told Digital News Asia recently. According to Teh, the new GIANT, dubbed the Fusionex GIANT 2017, is far more superior than the predecessor. He said that it is now able to make sense of trillions of data sets — making it a suitable tool for banks, stockbroking firms, hotel chains, manufacturers and others. Like the previous version, the GIANT allows users to get key insights by just ‘drag-and-drop’. For example, dragging the company’s sales data and customers data could allow the company to find out which particular products are more popular among the young working adults. “More importantly, the new GIANT allows user to get insights in the easiest way possible — by talking to it. The new GIANT comes with a natural language processing (NLP) capability that will perform various tasks. For example, you simply only need to tell it to show you sales number, or sales number based on region, and those data will be produced immediately,” said Teh. The company also introduced its first big data analytics solutions catered to the small and medium enterprises (SMEs). The product, dubbed ANT, is the “mini-version” of the GIANT. It has most of the features SMEs need when comes to making sense of their data. “For a long time, the SME market has been underserved. It also has most of the features that SMEs are looking for. In late 2016, Fusionex invited 10 companies to take part in the pilot run of the Fusionex GIANT 2017. From the 10 companies, 8 of them have already signed up for the solution. “Our vision has always been to create innovative technology that meets the business needs of today’s market. Innovation drives growth and we strongly believe Fusionex GIANT 2017 is the answer to an IoT driven world that is in constant need of better, faster, cost optimised and commercially-feasible technology,” said Teh. Singapore, 28 June 2018 – Fusionex, a multi-award-winning data technology provider specializing in Big Data Analytics (BDA), the Internet of Things (IoT), Artificial Intelligence (AI), and Deep Learning has rolled out a data analytics solution for an institute of higher learning of high repute in Asia to elevate its market intelligence by accurately determining market demand. An institution of higher learning that has educated students for over 30 years, the client currently has a student enrollment of more than 11,000 strong and offers courses in Accounting, Communications, Computer Science, Early Childhood Education, Economics, Engineering, Hospitality and Tourism, Law, and Psychology. The data management solution involves capturing information from online interactions on the client’s web portal and other domains for analysis to accurately discern student interest, course relevance, potential roadblocks against enrolment, and other such acumen. Fusionex revamped the client’s web portal, transforming it into an intelligent data gathering platform capable of tracking user data. Specifically the web portal could measure how each user uniquely interacts with it and produces insights from this data to form a true 360-degree view of each customer. It can also determine which pages failed to capture user interest, causing them to drop off from the web portal. Such insights paint a more comprehensive and precise picture regarding the fluctuating levels of interest throughout a customer’s journey as they browse through the client’s web portal. By leveraging on such comprehensive data collection and cognitive computing capabilities, the client could also monitor patterns of visit to their web portal via social media platforms such as Facebook as well as from online ads, giving the client a better understanding of their sales conversion rates and return on advertising investment. Furthermore, the data management solution allows for the monitoring of popular online job portals and peer web portals, granting a holistic overview of the market; enlightening the client concerning popular jobs, courses peer web portals are offering, and the shifting tides of supply and demand in the industry. Such insights can play a vital role in cluing the client as to what strategies and plans to adopt to attract prospective students. Fusionex will be advancing the client’s online visibility and presence via Search Engine Optimization, Machine Learning, AI, and Search Engine Marketing techniques while simultaneously running the client’s solution on Fusionex Cloud, leveraging the storage flexibility and cost savings it provides. Fusionex awarded contract from Malaysia Airlines Berhad to provide a group-wide data management platform that will increase work efficiency and ease of communications within its group. Fusionex, a multi-award-winning, leading software solutions provider specializing in Big Data Analytics (BDA), the Internet of Things (IoT), Artificial Intelligence, and Machine Learning, has been awarded a contract of significant value with Malaysia Airlines Berhad (“MAB”) to provide a group-wide data management platform that will increase work efficiency and ease of communications within its group. MAB seeks to address the challenges encountered by its thousands of employees to work and communicate efficiently. With millions of travelers flying on MAB every month to almost 60 destinations, MAB requires a scalable platform to cope with the volume as well as complexity of data and information gathered, in MAB’s bid to better serve its customers and staff. The platform will allow for collaboration within the company and also facilitates messaging and information sharing between employees. With all employees using the same platform, any communication, whether textual, imaging etc. would be accessible quickly and easily. Apart from work purposes, the platform will allow employees to participate in leisure activities for an optimized work-life balance to be achieved. An enterprise social network feature will be deployed for employees to use as a social collaboration tool, in line with MAB’s objective to promote a strong and united corporate community. Fusionex is an established multi-award winning data technology provider specializing in Analytics, Big Data, Machine Learning and Artificial Intelligence (AI). Its offerings are focused on helping clients unlock the value and derive insights from data. 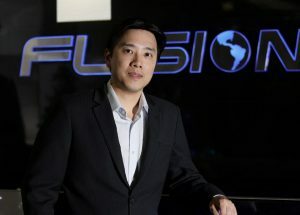 Fusionex is the largest Big Data Analytics company and market leader in ASEAN, bringing state-of-the-art, innovative and breakthrough data-driven solutions to its stable of clientele (including Fortune 500, FTSE companies, large conglomerates as well as a wide array of small and medium enterprises (SMEs)) that spans across the United States, Europe as well as Asia Pacific. Fusionex has recently entered into a strategic partnership with Alibaba Cloud to drive digital transformation across the region. Fusionex, a multi-award-winning, leading data technology provider specializing in Analytics, Big Data, Machine Learning, and Artificial Intelligence (AI), has commenced a digital insurance initiative for leading Takaful insurance company STMB. Takaful Malaysia’s online sales portal “Click for Cover” was launched at a grand ceremony and signalled the digital transformation of their business processes with Fusionex technology. The launch ceremony was officiated by Datuk Seri Johari Abdul Ghani, Finance Minister II, and marked the beginning of a seamless customer experience in purchasing and renewing insurance policies online via data-centric approach. Leveraging Fusionex technology, Takaful’s digital insurance initiative is able to help customers process their applications, issue quotations, perform underwriting, send cover notes and e-documents via a customer-focussed and seamless online platform. The platform focuses on providing the best service to its customers, with the ability to understand each customer in a more personalized way. This is in line with Takaful’s strategy of reaching out to its prospects and customers anywhere, anytime and anyhow, while having the ability to introduce newer products and targeted features that their customers will find more useful and relevant to their specific needs. The launch also witnessed the signing of a memorandum of agreement between Fusionex and Takaful, as well as signings between Takaful and Remark, a digital marketing company. Collaboration agreements for online distribution with Lembaga Tabung Haji (LTH) and Bank Islam (BIMB) were also signed to introduce online Takaful products to depositors of LTH and customers of BIMB. The “Click for Cover” portal, which is powered by Fusionex technology, provides a data-centric, easy-to-use interface for customers to access the company’s products online with e-payment facilities and real-time underwriting capabilities. “Click for Cover” has the first fully integrated medical underwriting engine online in Malaysia where rating decisions will be generated online. Currently, the portal offers Motor, Personal Accident (PA) and Medical products. More products such as Term Life, Critical Illness and Travel PA Takaful will be made available later this year. Call it the buzzword of the decade, but DevOps has perpetually shifted the way development teams and organizations approach their work. DevOps adoption rose from 66 percent in 2015 to 74 percent in 2016 and when something is popular, there’s always a tendency to ride the rapids and hastily jump on board. Consequently, many larger companies are incorrectly rushing to adopt the practice for the wrong reasons. They’re searching for ‘experienced DevOps’ or ‘senior DevOps’ partners to join their software teams, and software outsourcing are cashing in on the opportunity by offering tons of DevOps positions to these organizations. But the thing is, implementing DevOps isn’t as simple as hiring one person or a team of experts. DevOps is a culture that needs to be embraced by the entire organization. It’s a comprehensive, collaborative, and cross-team approach to managing the software development processes that relies heavily on automation and sharing – something smaller startups typically do well at. Once implemented, the culture removes silos and focuses on delivering real value. We often receive calls from companies, looking to hire DevOps experts to join their teams. But to those of us who work within a DevOps environment, this doesn’t make sense. While companies probably do need their teams to produce within a DevOps culture, it’s clear they don’t understand how the process functions as part of an organization. Because simply put, DevOps is not a role. It’s almost impossible to hire an outside DevOps team and expect them to magically implement a functioning DevOps environment. Rather, the transition requires a strong cultural shift – with each team member becoming aligned with DevOps collaborative practices and philosophies, and working together to integrate long-separated systems and activities within an organization. So while many seek to hire new DevOps experts, it isn’t actually necessary: companies need to implement the change from within. There’s no diving into DevOps head first – rather we need to become acclimatized to it inch-by-inch. Just like hiring one expert and expecting the rest of the team to match their level of expertise isn’t realistic, deploying DevOps technologies – or DevOps related tasks – doesn’t mean you’ve implemented DevOps, either. Practices like Continuous Integration (CI), Continuous Delivery (CD), and configuring Docker won’t do your team any good if they don’t truly understand how they function and how they correlate to DevOps processes. You’ll end up with software full of bugs in production or with unstable software and infrastructure, resulting in broken builds. A team needs to first embody the culture before rolling out new technologies. While hiring an outside expert won’t wondrously make an organization value DevOps philosophies, you can train DevOps Champions within your team to help everyone embrace the shift. Since DevOps advocates a care for software – from conception to production – DevOps Champions thus need to be motivated by customer and business objectives, to help promote a sense of ownership inside the team. They need to be a strong and respected leader – but most of all, be well versed in DevOps culture and understand how it benefits the organization. So how can DevOps Champions approach the transition? They need to coach the team to understand and implement the core DevOps values: Culture, Automation, Measurement and Sharing (CAMS). They must work to foster an environment that encourages people to ask questions, cooperate with and learn from each other, and innovate and try new things. They need to teach the team the importance of automation, in order to save time and build consistency, and then measure improvement through data that’s accessible to everyone on the team – that way, there’s a clear understanding of why certain processes need to be changed. And finally, they need to encourage sharing tools to increase efficiency and create a higher level of engagement amongst employees. Overall, DevOps Champions should encourage developers, quality analysts, business analysts, system administrators, among many other roles, to share a collaborative, iterative and committed approach to their work. And for added DevOps support, it’s also a great idea to turn to experts or partners in the industry who’ve already made the shift. This allows for transitioning teams to understand the best practices, but also learn from other organizations’ mistakes. While everyone needs to understand DevOps processes and value the collaborative approach, not everyone on the team needs to be an expert in DevOps technologies. With complex problems, it’s fine for DevOps Champions to configure the tasks and lead the way. While startups might require less specialized team members – everyone needs to help out with every part of the process as the team is usually more interconnected – bigger teams may require multiple DevOps Champions for complex technical execution and to keep the scope of each project clean. And here’s the great thing: once the entire team understands the culture, practices and collaboration-based work, the DevOps Champions can move to help other areas of your organization, or they can turn their focus to implementing sophisticated techniques, including ones like autoscaling, complex monitoring and high availability. While it’s tempting to hire a team of DevOps experts and quickly deploy the technologies, there’s really no cutting corners when it comes to transitioning to DevOps. Implementing cultural change at an organization is no easy feat. But in taking the time to correctly help your team embrace the DevOps culture, one day you’ll turn around and realize that everyone at your organization is in fact, a DevOps Champion. AirBnB recently earned the top spot on CNBC’s Disruptor 50 list, and was estimated to be worth as much as traditional hotel giants Hilton and Hyatt combined. Nowadays, not moving fast enough to embrace a digital transformation can cost even the most well established incumbents a large chunk of their business. However, the threat of digital disruption is not new. Most Fortune 500 CEOs will publicly affirm their urgency on setting sail on a digital voyage. Yet internally, management often finds itself at odds on how exactly to leverage technology to transform their current business model. There is no “cookie cutter” checklist to jumpstart a digital transformation. It is a complex journey that requires: 1) a strong managerial commitment to change; 2) a radical cultural shift that allows an organization to gravitate away from rewarding risk-aversion and responsible asset management, towards rewarding innovation, experimentation, and risk-taking 3) upgrading the talent pool within a company to acquire cutting-edge digital abilities. So once a company has embraced a digital transformation with the full support of management, and has explored specific business ideas they would like to “digitize”, how can they actually get the ball rolling and execute? The digital world is built with software — an engineering feat that coordinates creativity, design, and hard engineering to make thousands of lines of code transform into a useful tool. But with the advent of the mobile digital age and “apps”, users demand that software be more than practical —they want it to be intuitive, simple, ergonomic, easy to learn, and yes, also beautiful. Let’s suppose that the company ACME —a traditionally successful mid-market incumbent player with 30+ years in the industry—wants to start a digital transformation journey. Let’s suppose, also, that ACME has clear management support and has arrived at a promising new idea for leveraging technology to open a new line of business. Should ACME tackle the digital initiative alone? We suggest not, and here’s why. ● The application should embody modern design tenets both in usability and graphic attractiveness (which requires skills in design thinking, customer journey ideation, and modern user interfaces, among others). ACME’s current software engineering and design departments might not be up-to-date on the technologies that will allow them to successfully navigate the frontier of creativity that defines a new product. For many companies, there’s often a mismatch between the talent in its ranks, and what is required to solve the technical challenges at hand. Established players in many industries are often quite old-fashioned in the way they manage the creative process. It is common, then, that internal marketing, customer service, or IT departments of traditional organizations are seldom prepared to collectively deploy innovation mechanisms that allow them to experiment effectively. That is, processes that allow them to think out of the box and find new ways to serve customers who are frustrated with the status quo and long for a better digital way to consume their services and products. It’s hard to know what to look for if you have not lived through a digital innovation process. The quickest way to kickstart change is to learn by doing. Companies should hire not simply a “theoretical consultant or a coach” in digital innovation, but an outsourcing partner that can provide a real-life example of how to operationalize digital innovation within the company, in the form of a real product. An outsourcing partner can help ACME’s technology department use the agile approach to software development – which focuses on being as ‘lean as possible’ and developing a minimum viable product (MVP). An initial test market will use ACME’s software and react to it, generating valuable user feedback. ACME can then take this back to the drawing board and quickly iterate on a Version 2 of the product, to be once more presented to the market. This cycle continues until ACME achieves what is called “Product-Market-Fit”. Working with an outsourcing partner to develop a product is important for many other reasons, too. Firstly, it’s critical that an organization’s first projects in which they ‘go out on a limb’ in the digital age are successful. Early wins will generate a positive dynamic, and provide the confidence that allows management to further accelerate digital change. And although agile requires technical skills, it also requires a change in behavior and company culture. An outsourcing partner that understands agile development behavior is a great way to cross-pollinate an agile culture to the existing organization. And lastly, an incumbent without agile expertise will take a long time learning the ropes, potentially endangering the success of the project because of delays or loss of credibility within an organization afraid to change. 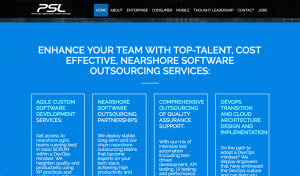 Working with an experienced software outsourcing partner, on the other hand, provides a “guided laboratory” that allows both the incumbent to learn how to deploy effective software engineering practices for digital innovation, while ensuring an effective time-to-market for the particular initiative. Undertaking an agile transformation can be daunting. But learning from an experienced outsourcing company will help an organization to quickly internalize agile engineering methodologies —and the undergirding culture of innovation that comes with them—under a learn-by-doing model. This will help them to evade the common “rookie” mistakes, and shorten the journey to a successful digital innovation. 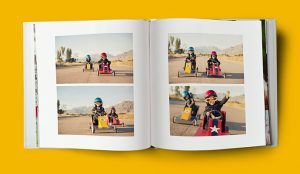 The digital picture book offers extremely high quality picture printing. The HD Satin cover offers room for printing a single picture, which is printed on both the front and back, and you can even include text to the style. 160Gsm high grade papers offer additional image printing options and provide you with superb recreation levels when printing preferred images. Up to 80 sides can be printed – the standard style layout provides a single picture on each side of the image book pages however you can produce more complex designs that utilize a bigger variety of pictures if you wish. A specialised guest book can be utilized in hotels and guest houses however is specifically helpful as a wedding guest book. Your visitors can sign the visitor book leaving their name and an individual message to the both of you and not just can you customise the cover to include an image and text however you can also select the column headings that are included in the photo book from iphone itself. Personalize the cover of a Your Life book and choose in between a self install photo album design or printed image book. Include text to the cover, which is printed in specialised lettering and decide whether you desire a picture inset on the cover too. Choose from any of 4 colours for the cover of the Your Life Book in order to create a sensational birthday gift or the centrepiece for an unique celebration or celebration. The Book of Love is another great looking gift idea, particularly designed for use on Valentines Day but it can be given at any time of year as a gift for a loved one. Add ten pictures, and write the text to print on the accompanying page for each image. The soft cover looks sensational and you can customise it with another image too. Note pads and journals work and useful along with great looking; they too can be personalized with the addition of a single picture or perhaps a photo montage on the cover. The basic style affords you the choice of a single picture which is printed on the front and back of the cover however you can choose, rather, to have a various design on the back. The National ICT Association of Malaysia (Pikom) has signed an MoU (memorandum of understanding) with big data analytics solution provider Fusionex for it to train local talents in the area of Big Data. Fusionex will equip ICT professional with the right skills in line with the Government’s goal of achieving 20,000 data professionals by 2020, the organisation announced at the Pikom Leadership Summit 2017. “We found there is a talent mismatch today as many graduates are not aware of what the industry is looking for today,” said Pikom chairman Chin Chee Seong. Fusionex managing director Datuk Seri Ivan Teh agrees, adding that many jobs of today will not be the jobs of tomorrow and the jobs of yesterday might not even exist in two or three years time. “There is a real importance to align what the academia produces versus what the industry wants and that is an ongoing challenge and something we are really working hard to tackle now,” Ivan Teh said. Among the skills that are in demand include data analytics and project management. The industry body also inked an MoU with CyberSecurity Malaysia (CSM) to combat the recent rise of cyberthreats. It will give CSM access to security services and solutions from its members. It also signed an MoUs with the Malaysian Association of Tour and Travel Agents (MATTA) to promote the adoption of digital platform in the travel industry. Chin says that most SMEs (small and medium enterprises) in the travel industry have yet to embrace and reap the benefits of digitalisation. Transport Minister Datuk Seri Liow Tiong Lai who officiated the event, said that with the partnership, travel and tour agents should take the opportunity to market their services online and this is a step in the right direction in embracing digital economy. “These initiatives will certainly help in expanding opportunities for the SMEs in their respective sectors and we need to keep up and embrace change as there is a rapid convergence between the physical and digital world,” said Chin. 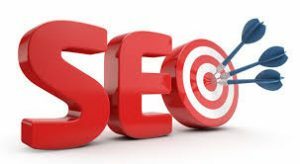 Small business owners are not truly conversant with the term SEO and the majority of them simply can not value the requirement and value of the optimization procedure. In simple words, it is the process of making the publicity of your company through an online website. SEO method is a should for small company owners since of 2 essential factors. The most vital is that you get promotion, meanings that fresh customers and the other one, it is truly budget-friendly. You get the ad back-up by investing a really percentage on this account and continue to doing this. If you compare this process with other channels of promotion, you will definitely blame yourself for not choosing for this extremely rewarding process to get real-time customers. You start to obtain inquiries when your site gets greater ranking in search engine outcomes. More you improve your position in positions, the much better the volume of traffic to your site. You enjoy an industrialized consumer base and enhanced earnings income instantly.